As you grow older, your bathtub becomes a daily obstacle. For 15 years, Easyshower has been replacing bathtubs with safe showers, within one day, and without any tile or ceramic works. Our products are handmade in France and made of fibreglass, a material known to last for centuries. They are entirely tailored to your tastes and needs, from dimensions up to colours. Today, almost 12 000 households use our showers. Our « Comfort » shower line ensures your safety and protects your independence. They are ideal for the elderly or people with impaired mobility. Where bathtubs have become a daily obstacle, they are replaced with a safe shower within a day, without any tile or ceramic works. The products of our “comfort” line are made of fibreglass, which requires them to be handmade, one unit at a time. They are thus entirely customisable (dimensions, colours), which allows you to choose the one shower that will fit seamlessly into your bathroom décor. 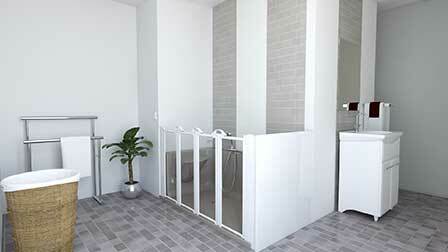 Our « design » showers blend together technique, modernity, customisability and adaptability. 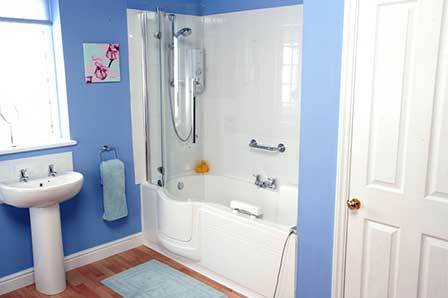 They will convert your bathroom into a place of daily safety and well-being. The products of our “design” line are made of fibreglass, which requires them to be handmade, one unit at a time. Our « Combine » product line will allow you to enjoy the pleasure of a bathtub while benefiting from the accessibility of a shower. Our “combine” line aims to provide bath addicts with a comprehensive range of bathtubs/ showers with a pivot door, sparing them the hassle of choosing between a shower and a bathtub. The products of our “combine” line are made of fibreglass, which requires them to be handmade, one unit at a time. They are thus entirely customisable (dimensions, colours). The products of our “Handi” line are made of fibreglass (depending on models), which requires them to be handmade, one unit at a time. They are entirely customisable (dimensions, colours), which allows you to choose the one shower that will fit seamlessly into your bathroom décor. Our « Handi » line was designed for people suffering from mobility impairments. 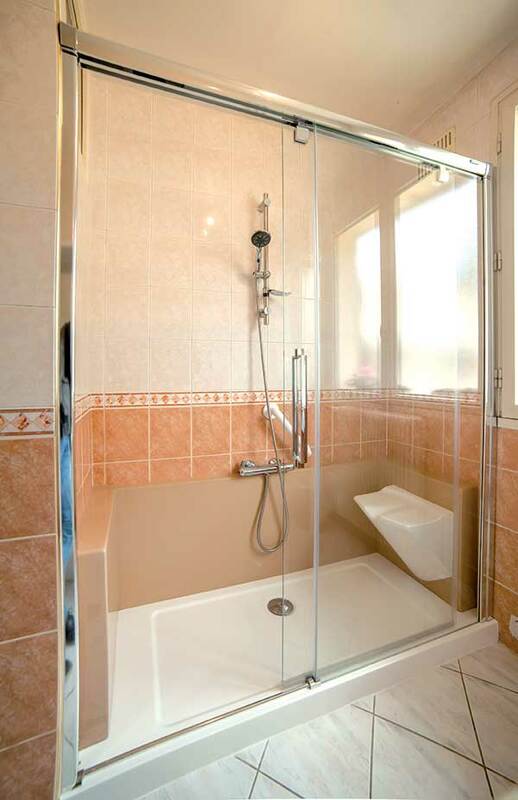 Where bathtubs have become a daily obstacle, they are replaced with a safe shower or a bathtub/shower equipped with a pivot door within one day, without any tile or ceramic works.